Mozart's happiest, up-tempo pieces played on the bell sounds kids love: small bells, music box and celeste. The included CD booklet, The Little Book of Attention shows parents how to help their child develop his/her attention, naturally and easily. Attention is the key to ALL learning. It is one of the most important things to develop in a child. Sound has a powerful effect on our attention. Sounds of nature, little bells and some kinds of music are very beneficial. Sirens, yelling, car horns, machinery, trains and other "sounds of the city," too much of the time, with little or none of the beneficial sounds and things that help attention grow, may cause a child to become confused, nervous and have poor attention. 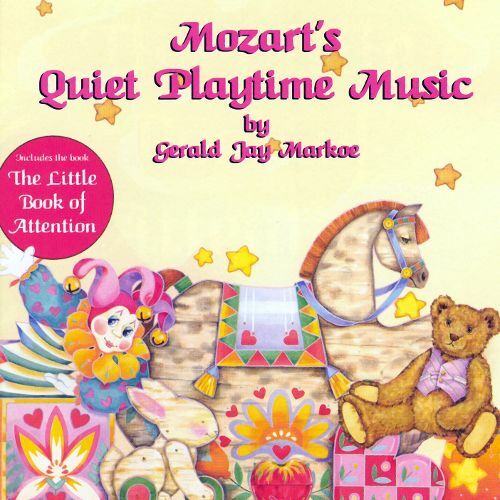 This CD/book combination was developed to counteract the negative effects of noise/attention pollution on children and replace it with a positive "antidote." Bells have an effect on children that makes them both relaxed and alert. Children are irresistibly drawn to the sounds of: a music box, sleigh bells, toys with bells, the ice cream man's bell, wind chimes, pretty doorbells etc. They seem to crave these sounds. This CD is 100% bell sounds playing full length versions of Mozart's music. I like this CD a lot. After I bought one for myself, I also bought two more - for my cousin and my friend. The price is also great, and the delivery is fast!